Montreal’s Philippe Belley sits third in chips with 2,260,000 after Day 3 of the World Poker Tour (WPT) Borgata Winter Poker Open as the field has been narrowed to the last 27 players. Two WPT Champion’s Club members join Belley at the top as the end-of-day chipleader was Shawn Cunix (4,195,000) and sitting in fourth is James Calderaro (2,222,000). According to Belley’s HendonMob page, he only has two previous recorded tournament cashes, both of which came in the World Series of Poker in 2011 where he placed 54th in a $2,500 no-limit hold'em event for $12,860 and followed that up with a 167th-place finish in a $1,500 no-limit hold’em event. With the tournament down to the final three tables, Belley is guaranteed to double his career earnings, as any elimination now will pocket at least $14,879. Belley will certainly have his eyes on richer prizes as the top spot will earn the champion $712,305. Still in the hunt for WPT glory are notable pros Aaron Steury (1,030,000), Aaron Massey (852,000), Loni Harwood (797,000), and Day 2 chip eader Justin Lunin-Pack (442,000). 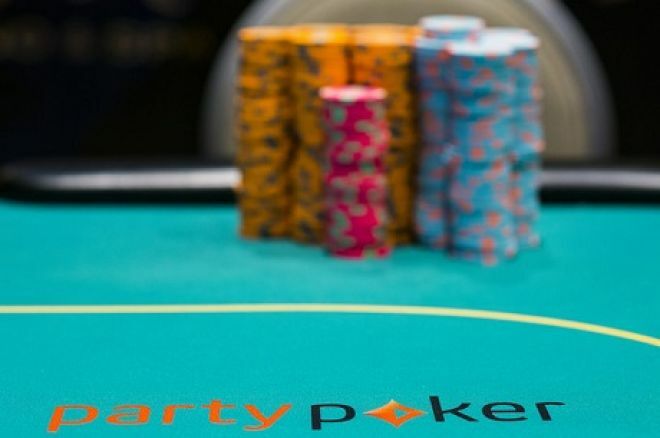 The Canadian contingent took a hit on Wednesday as DraftKings qualifier Robert Lokken busted before the bubble and WPT Champion’s Club member Eric Afriat was eliminated at the hands of end-of-day chip-boss Cunix. Cunix opened to 28,000 under the gun, Tim Bishop made the call from the small blind, and Afriat three-bet shoved for his last 215,000. Cunix made the call and Bishop folded. Afriat needed some help tabling to Cunix’s . The board ran out and Afriat was eliminated in 41st place, good for $11,713. Other familiar faces busting in the money include Chris Klodnicki (34th — $12,980), Andy Frankenberger (40th — $11,713), James Woods (59th — $9,497), Ravi Raghavan (63rd — $9,497), Mike Sexton (66th — $8,548), Jared Jaffee (67th — $8,548), and Vinny Pahuja (68th — $8,548). Some were not so lucky. Shannon Shorr, Andy Hwang, Byron Kaverman, Mukul Pahuja, Joe Kuether, Jamie Kerstetter, and John Racener all busted before the bubble. Play will resume at noon ET at Borgata in Atlantic City, New Jersey for Day 4 action where they will play down to a final table. Stay tuned to PokerNews Canada to follow the action as Canadian Philippe Belley hunts for spot in WPT history. Details and photo courtesy of the WPT Live Blog.